If you were recently involved in a car accident in Odessa, Texas, and dealt with the Odessa Police Department there options to obtain a copy of the car accident report. The city of Odessa typically charges a fee for the accident report, the fee varies between $4 & $8. If you are interested in ordering your Odessa car accident report, there are a couple of options available to you. Just provide the details of your accident, and we’ll track down your Odessa accident report and email it to you. Ordering a car accident report from the Odessa Police Department is simple. You can order your Odessa car accident report through the third-party website, PoliceReports. Additionally, fill out all the information relevant to the car accident (parties involved, date of the accident, the location of the accident, etc.) and the car accident report will be delivered to you. Car accident reports cost $8 if ordered through this service. 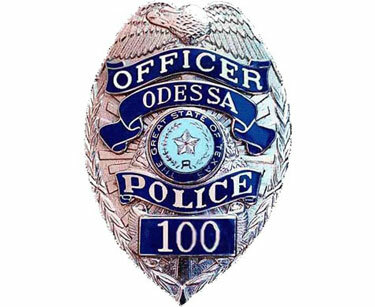 Head down to the Odessa Police Department Records Unit, they are located at 205 N. Grant Odessa, TX. 79761, and see if your car accident report is available for pick-up. Although, officers have 10 business days after an accident to complete and file an accident report. Odessa car accident reports are typically available the day after an accident has occurred. Further questions can be directed to the Records Unit of the Odessa Police Department whose email isopdmedia@odessa-tx.gov. More information about the Records Unit can be found here.